Visitors may park their car in a level off-road car park next to the cottage entrance. There are 4 stone steps up to provide access to the frontage of the cottage. The front door opens directly into the entrance kitchen area, and gives level access to the staircase, ground floor lounge/dining room, and doorway to the basement laundry room. The kitchen is fitted with oak units and solid beech worktops, and is fully equipped with an electric cooker with halogen hob, worktop microwave, and under-counter fridge with small freezer section. The lounge/ dining room is fully carpeted. 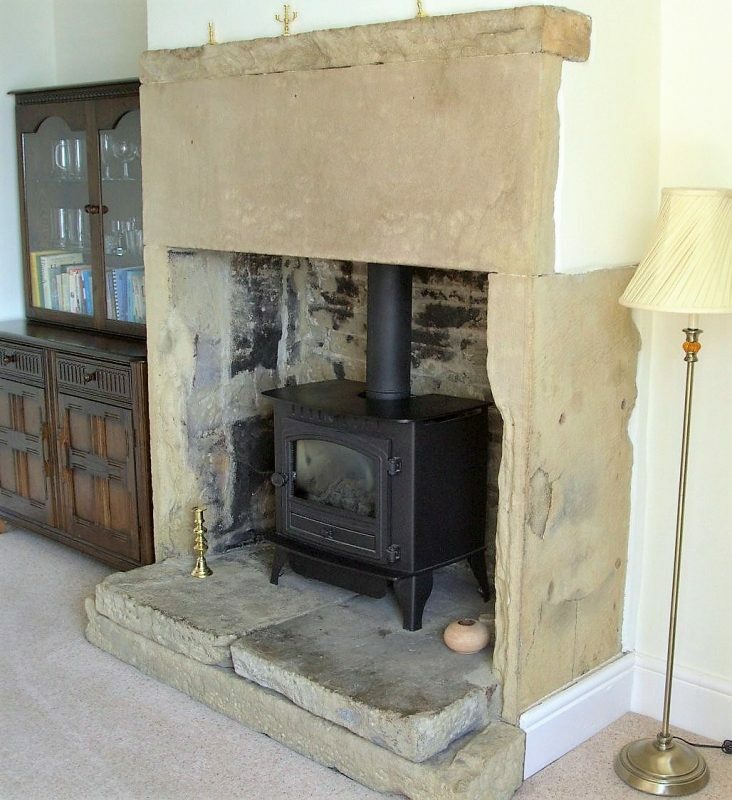 and retains the old stone fireplace and exposed beams. The dining table is designed to extend . There are two comfortable armchairs and also a double sofa –with arms. 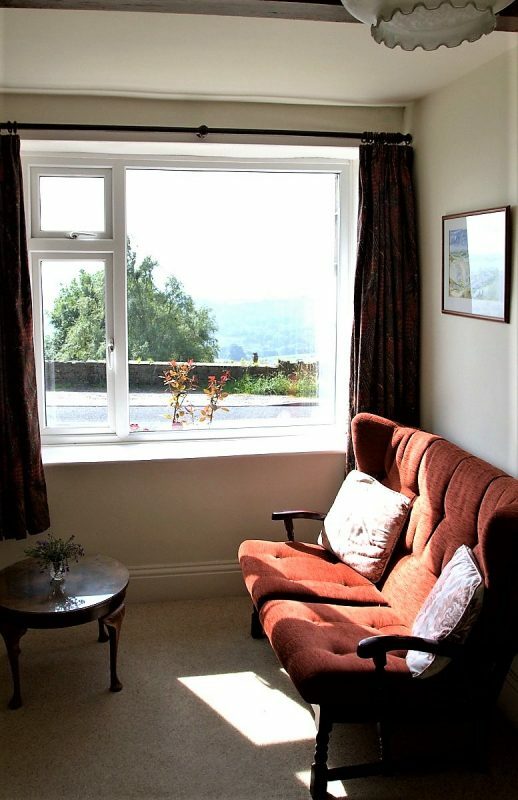 LCD TV is provided with Freeview and DVD. 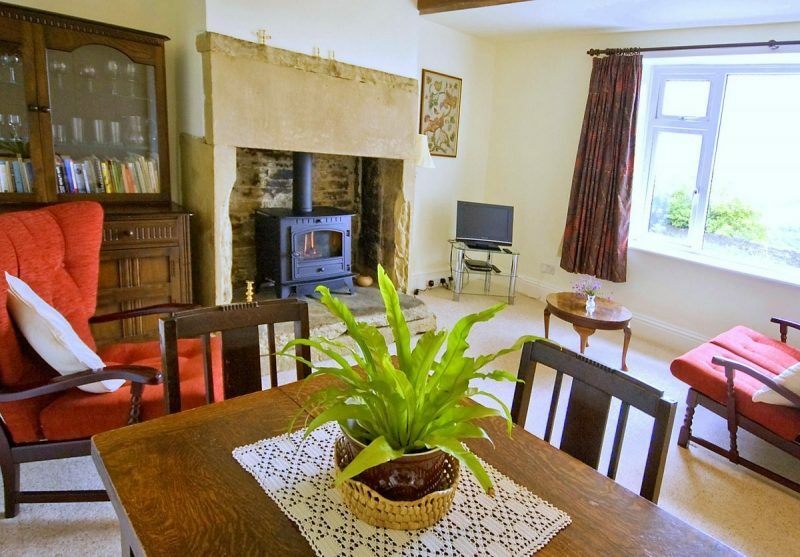 The cottage is connected to a wireless broadband network for free internet. The staircase is straight with a half turn at the top. The first nine steps up to the turn are carpeted. There are a further three tapering steps to complete the turn. The staircase has a wooden banister on the left. 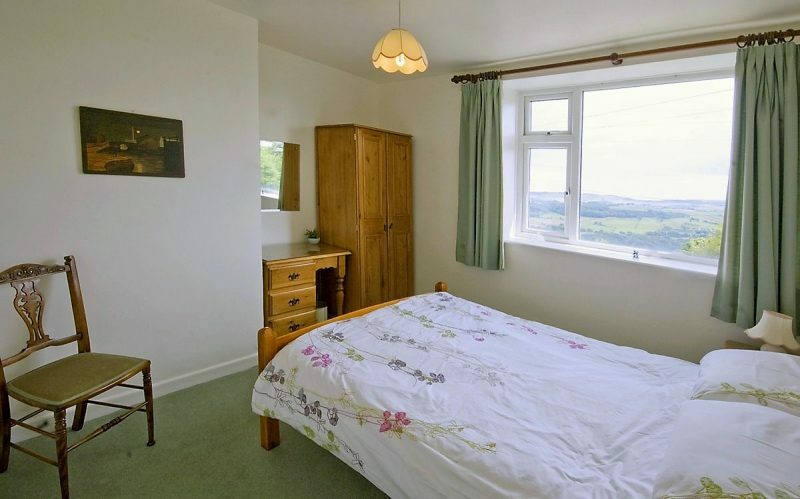 This is a light airy room, with extensive views over the Black Brook valley, with a double bed and crafted pine furniture including wardrobe, two bedside cabinets, dressing table with mirror, and a small bedroom chair. The single beds are partially overlapping each other in a tiered arrangement. (See photograph) Non feather duvets and pillows are provided. The bathroom is well proportioned, with high timber ceiling and attractive tiling to bath surround and floor. There is a bath with a flexible Mira shower over, and also W/C and a pedestal hand basin. 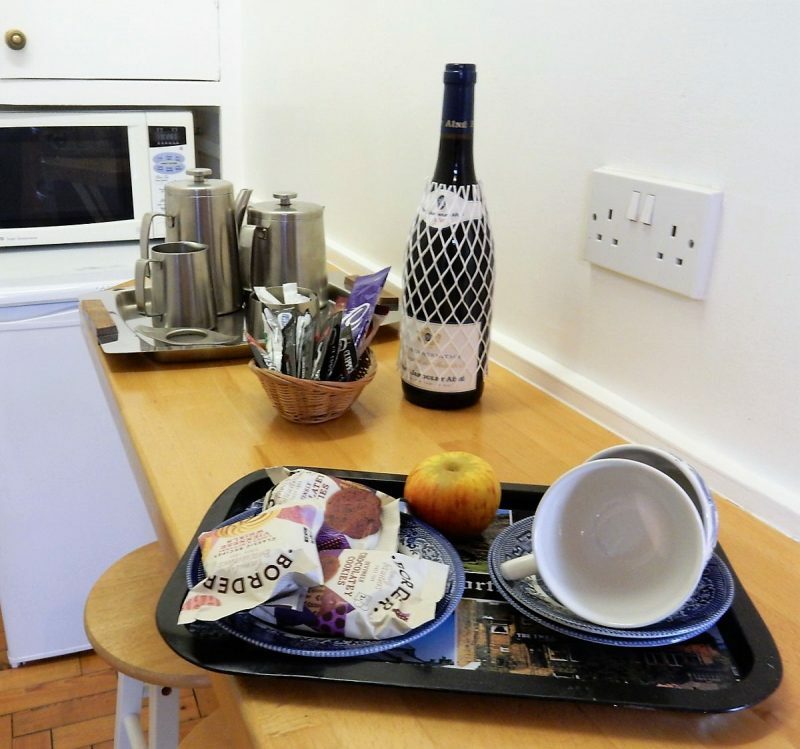 There is a front loading washing machine and drier for visitors’ use, in the cottage basement laundry room. 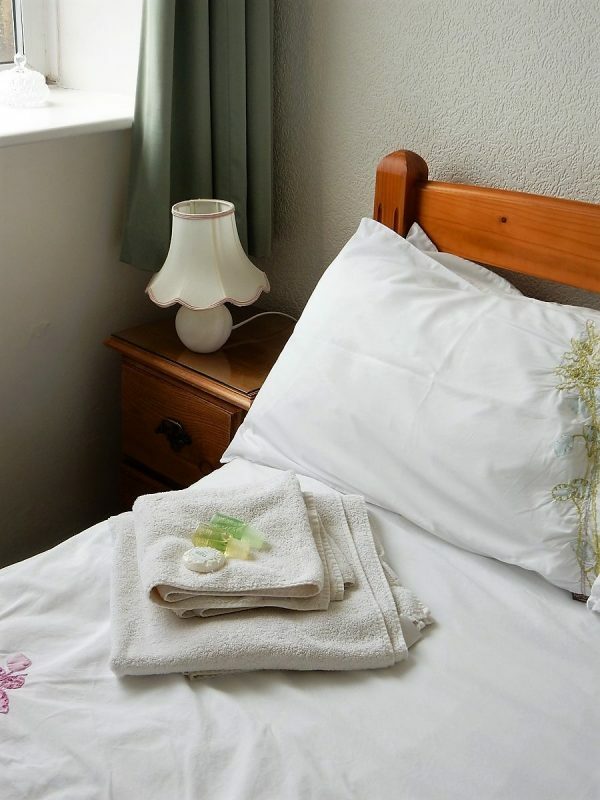 The cottage is connected to a wireless broadband network for free e-mail and internet access.